Tech4Learning is making it easier for schools and districts to get up and running with Wixie by integrating their service with Gaggle’s Partner Program. Tech4Learning’s Share 4 multimedia authoring tool wins ComputED Gazette EDDIE Award for Best Educational Software in the category of Middle School Project Authoring. The EDDIE Awards target "innovative and content-rich programs and websites that augment the classroom curriculum." 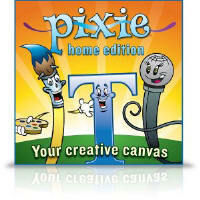 Tech4Learning has released the Pixie Home Edition, a trimmed-down version of the award-winning Pixie software, that provides an affordable ($19.95 on Amazon) way to continue the learning at home. Research shows Pixie improves student achievement at school, and now families can promote the same great learning through creativity at home. Tech4Learning has released an update to Wixie that makes it easy to track student progress toward achievement of Common Core Standards. Wixie is an authoring tool students can use to paint pictures, write stories, and record their voice to explore the curriculum and demonstrate mastery. 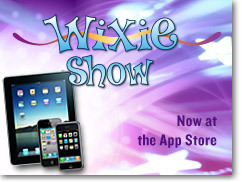 You can now view Wixie projects on your tablet or phone! Students across the country have been using Wixie to develop original stories, demonstrate content mastery, and explore the curriculum. Because Wixie resides online, not only can they author anytime and anywhere, their projects reside online for and immediate learning showcase!